FC Barcelona endured hostile chants in the final minutes of the Champions League game against Sporting Clube De Futbol. 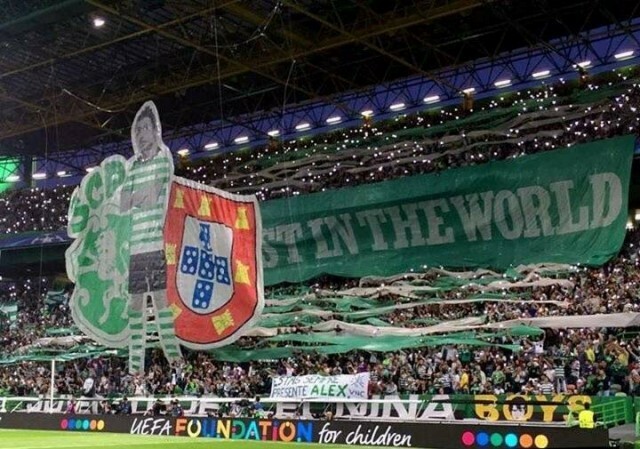 The Catalan club played at the Estádio José Alvalade in a tie with Cristiano’s former club “Sporting” in the UCL on matchday 2. It was a night to forget for the 30-year-old as he failed to net a goal in what was a nervy game for the Argentinian. The most notable incident on the night was when a fan evaded security to meet his idol, Messi on the pitch. Evidently, Ronaldo is a favorite and famous figure at the Lisbon outfit having joined the club at just 12 years of age. The 32-year holds the Sporting CP in high regard and has shown interest of a return back to his childhood club when he finally decides to quit Los Blancos. 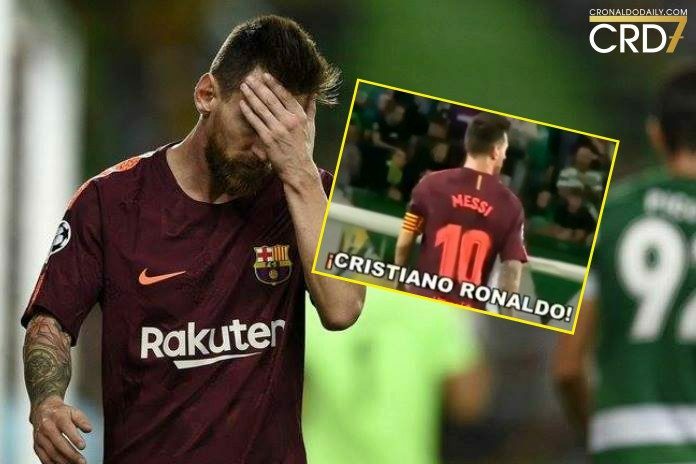 Well, the fact that the Leões fans adore Ronaldo doesn’t mean there is no Messi admirer. A fan tactfully invaded the pitch to hug the Argentina captain during the closing stages of the game. Just like Dilonaldo did in Dortmund, Messi was also mobbed by a pitch invader minutes before the final whistle. Before being escorted off the pitch, the young fan grabbed the left foot of his idol and kissed with sheer passion. That looked like a golden moment for Leo, especially on Portuguese soil but the locals ruined it for the Barcelona superstar by chanting massively Ronaldo’s name. The act angered the home supporters as they rallied to support the Portugal captain. An own-goal by Sebastien Coates was enough to see Barcelona run out 0-1 winners. The green and whites have dropped down to third position in Group D.